Don’t want 3 points on your license and a nasty fine? Don’t want to spend hundreds on a car kit? Don’t want to look like an idiot with a bluetooth headset? 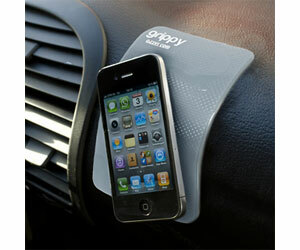 Then my friend, meet the grippy in-car mobile phone gripper! The pictures shows you pretty much what it does.